In our previous article in this series on Building a Profitable Sales Process, we discussed the importance of asking for the business. Using a simple, three-question close that should seem like a natural part of the conversation (if you’ve had the right kind of conversation up until that point). Need help with the right conversations? Based on our discussions, do you feel we understand your situation and what you need? Do you feel we have the expertise to help you? If everything goes according to plan you should get a yes, yes, and yes. If you get a no along the way that probably means you skipped a step in the process and you need to go back to discover either what you missed or what has changed on their side. For this article let’s assume everything goes as it should and they say, “Yes, we’d like your help.” Congratulations, you got the sale! Now what? The same principles that keep the sales conversation on track – building and maintaining a strong relationship, crisp clear communications regarding next steps, and strong covenants about what the next steps should be – will keep your customer onboarding on track as well. 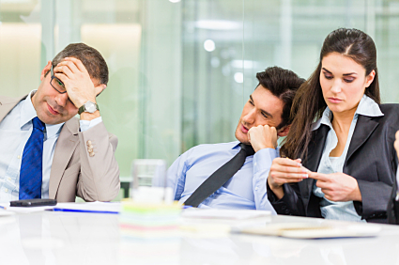 So how can your sales people minimize this operational friction? Get input from operations before making a commitment to the prospective customer. Qualify the prospective customer by making sure they agree to accept what you can and cannot do. Nothing frustrates a customer like getting the order with an expectation that they’ll receive their product in two weeks only to find out there’s a six-week backlog. Stick together. 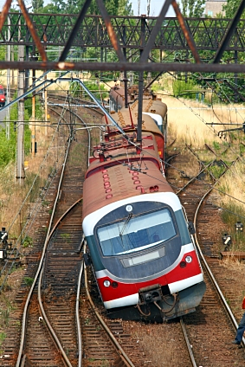 Don’t throw operations under the bus or blame your company if circumstances change and the timeline is extended. If you’ve built the right relationship and have earned trust from your customer, they will understand your situation and appreciate your direct communications. If there’s bad news, share it right away. Delay is the deadliest form of denial. Hoping it will somehow come together at the last minute isn’t a good strategy. Communicate early and often (yes, we listed it twice). A quick call from someone higher up in the organization (could be your VP of Sales, could be the President of the Division, or it could be the owner or CEO) to let the new customer know you appreciate their business and giving them permission to call you if they need anything will go a long way toward supporting your sales people and setting them up for future success. Customers (new and old) want to feel appreciated and a simple thank you note or brief phone call can make a big impression. What would happen if you put some focus on client onboarding in your organization? Do you see the typical friction points between sales and operations? If so, what can you do to smooth it out and improve communications? What would happen if you were more purposeful about saying "thank you" to your new customers? Would implementing this type of system improve your company's performance? Would you like some help? 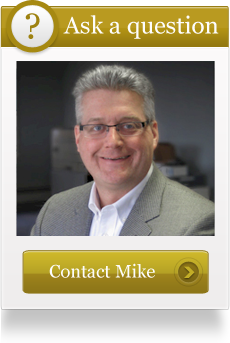 Contact Mike Carroll when you would like to discuss the salesprocess, operational success or operational friction. We have talked about sales focus in previous articles. Whether it's focusing on a narrow suspect list to improve prospecting effectiveness or focusing on the key metrics that drive results, sales focus has been a recurring theme. In this article we'll talk about a different type of sales focus - your ability to concentrate during a live sales conversation. 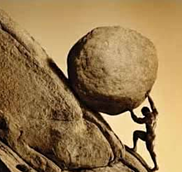 Personal Issues - pressure at home to increase income, the need to achieve a better family/work balance, the challenge of helping an ailing parent, etc. Work Issues - pressure to increase performance, the need to complete paperwork and CRM updates on a more timely basis, concerns about who is getting promoted or is on track to win an award, etc. Self-Esteem Issues - difficulty recovering from rejection, challenges overcoming self-limiting beliefs, insecurity about knowing everything you can about a new product or service, etc. Outside distractions - wondering how your fantasy football team did this weekend, thinking about plans for an upcoming vacation, worrying about a volunteer committment, etc. We eventually need to deal with all of these issues, but if they begin to sneak into the back of our minds during a live sales conversation and cause us to lose focus and concentration, they begin costing us money. Every sales person has outside distractions to deal with - successful sales people are able to clear their mind and really concentrate on the conversation they are having. When you achieve this kind of focus, a bomb could go off right next to you and you wouldn't notice. How can you achieve this type of concentration? Clear your mind immediately before walking into a prospect meeting or picking up the phone. Just take a moment to take a deep breath and visualize a successful conversation. Schedule a specific time to worry. Take 15 minutes every day and write down everything on your mind that is causing you to worry. Then write down three (3) specific actions you can do to address the issues on your mind. This habit will help limit these outside distractions by creating a specific outlet for them - and you'll make progress on solving these issues by taking action to address them. Give yourself a break. It's ok if you slip up and fail to block distractions or negative thoughts during a sales conversation. It's not ok to spend the entire day beating yourself up about it. Just make a committment to do better next time and move on. Think about earning respect. Sometimes we allow our need to be liked by the prospect to get in the way of asking effective, thought-provoking questions. Instead of thinking about how to get the prospect to like you, think about how to get them to respect you (and a great way to do that is to ask tough questions). Exercise on a regular basis. Get out and take a walk, go to the gym, take a swim, etc. Find an outlet to get your heart rate pumping and you'll find that you will have greater focus when you need it (during a sales conversation) and will feel better in general. As a sales professional your greatest strength is your ability to listen and ask great clarifying questions to help your prospects think about their issues and challenges from a different perspective. And the best way to do that is to follow these ideas to clear your mind and allow yourself to truly listen. What would your business look like if it were? Are your sales managers capable of coaching your team to set strong agreements at the beginning and end of each sales meeting they go to? - Sales Effectiveness and Improvement Analysis™ - and we will follow up with you to find out if it makes sense to talk about helping your sales organization become more effective. You Will Definitely Miss Your Sales Target This Year! Did you hit your sales forecast right on the nose last year? Are your powers of predictive forecasting so strong that you nailed it right down to the penny? Of course not! I was talking with my client Dave Baney – a very smart consultant in Chicago – and he gave me a new perspective on a belief I’ve long held. You’ve seen me discuss the importance of focusing on activities rather than results. What Dave pointed out was that in his consulting practice he only spends 10% of his time defining the annual budget and then 90% of his time defining the activities needed to drive the results. What activities should your sales managers focus on? These numbers will vary by sales person, by sales territory, by time of year, by market segment, by product line, and so on. It is very easy for sales people and managers to get lost in the muck and not know where to focus, so make sure they keep it simple by focusing on just two (2) or at most three (3) driving numbers that produce the outcomes you want. Let's say John Quotacrusher needs to sell $100k per month to hit his sales goal for the year. How closely your sales manager will monitor John will depend on whether or not John is ahead of or behind plan,how strong his pipeline is, how the product he is selling is doing in the market, and many other factors. For a sales person who consistently exceeds their goal, your sales leader might be fine just spot checking the number of proposals being generated and the overall proposal win rate. For a struggling sales person who is falling further and further behind each month, your sales leader may want to inspect activities earlier in the process. That might mean looking at the number of meetings scheduled and if that number looks looks shaky (or the quality of those meetings is suspect), then your sales leader should investigate how many conversations the struggling sales person is having. And if that looks weak, they need to look at the list they're calling and maybe sit in on some prospecting calls and closely manage that activity. When you go through this exercise with your sales leader and work your way back from a sales goal, what do your numbers look like? And how does the activity your sales leader is monitoring align with the numbers at each step of the sales process? Do they know the numbers at each stage? Don't worry about hitting your sales forecast, focus on the day-to-day, week-to-week activities your sales team needs to hit and you'll absolutely crush it.